Much of my updates these days are shorter in length and offered via Facebook and Twitter, so you may have noticed that I have only posted a single article since last year around this time. So here goes my second and final article this year. Last year, I asked the question, “Would there be a victory in 2013?” I will let you read on and judge for yourself. What I can say is that, while not as difficult as previous years, 2013 was still a challenging and often painful year to endure. Circumstances have steadily improved for the Powells in 2013, as we have adjusted to a lifestyle that we never desired. Day by day, we continue to ask ourselves what God is doing in our lives by allowing the hardships we have encountered over the last three years since closing Encounter Church. The ministry we engaged in through Encounter and in Helena, Montana, was such a large part of our lives. And over the last three years, we have drifted away from that type of ministry. I still long to engage in that type of “dangerous” ministry again, as soon as God allows and orchestrates. If we look at things honestly, we are in a better place than a year ago. I am still employed for a full-time job with insurance benefits. Things are very tight financially, and my pay is significantly lower that industry standard for the work I do. But jobs are difficult to come by and so we are managing as best we can. Oddly enough, the very situation that I fled California from, the very situation that I said I did not want to get into coming back, is the very situation I am currently in - a full-time secular position with freeway commutes, and very little time with my wife and sons. It hurts to be where eI am now, and yet I will endure until our situation changes. Andrea was finally able to secure a wonderful position the Custom Floral Designer for the Michaels Arts & Crafts store in La Verne, California. She is receiving many positive reviews (and positively impacting sales) in the the store district. Additionally, she really enjoys the work. 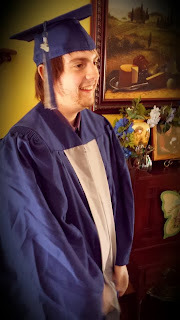 It is also good news that Andrik graduated from Summit High School here in Fontana. He is now attending Chaffey College and finding it very difficult to secure any classes at all. Fortunately, we were able to get him hired as a Web Design Intern at Lunarpages where I work. 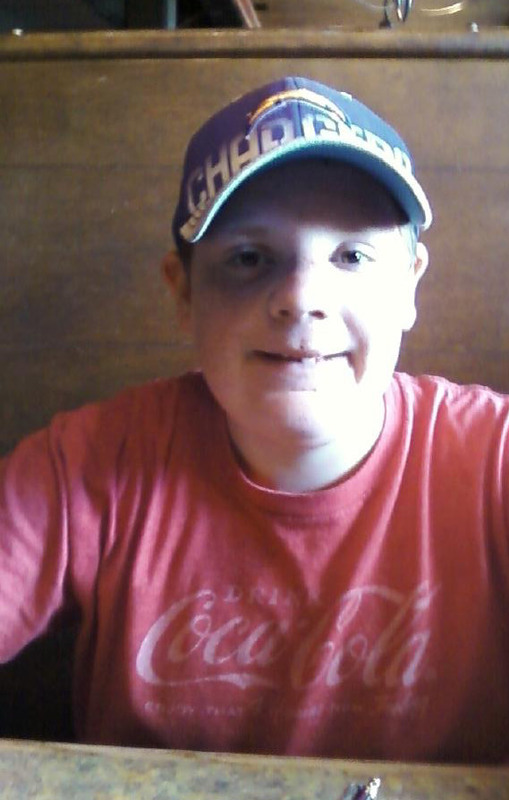 Kellin is doing very well in Middle School here with nearly all A’s in his classes. He has begun to make friends in school and begun to adapt to this lifestyle called Southern California. While I have made the connections I can here in Southern California, ministry work is difficult to find. The culture of faith here in Southern California seems much more corporate and less open to risk and adventure than in other places. We had been attending The Vine Church in Rancho Cucamonga, a 13+ year-old church plant still struggling to survive, much like Encounter. Having made some friends there at The Vine, having gotten plugged in with a small group, and even met with the Pastor and rehearsed with the band, there seems to be some barriers and/or differences there. The Vine seems to be a forward thinking, community-minded church, but still much more “safe” than our personalities. We are still not sure where we belong. 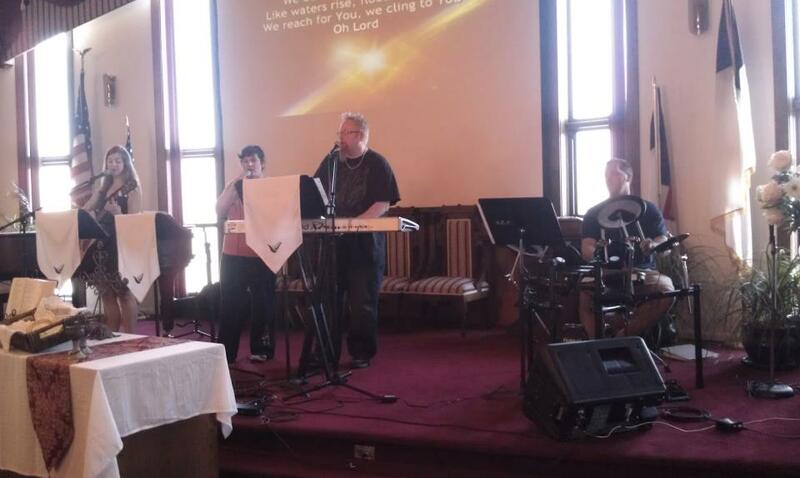 In the meantime, the church where I served as Worship Leader for the 4 years before we moved to Montana has experienced some difficulties that led to a church split. They lost their staff, elder leadership, and nearly half the congregation. 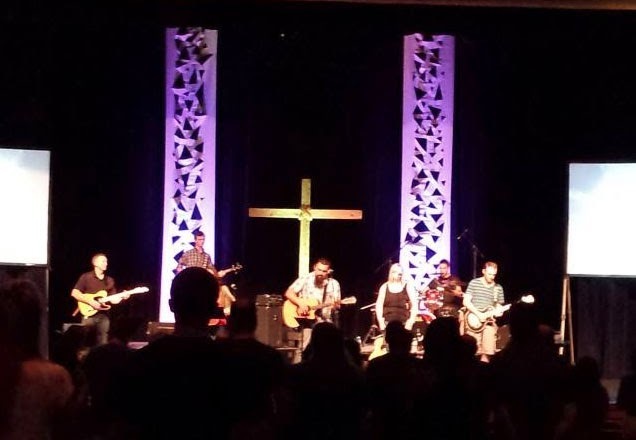 It was because of this (and my connections within the SBC and CBA denominations) that I received a call from the church to essentially serve as an interim worship leader there beginning November 24. Our hopes and prayers are to serve as an influence, and a source of spiritual guidance and reasoning there, as we lead worship each week. Perhaps we can help renew the church’s sense of purpose while helping them develop an outward focus to change the the community around them. 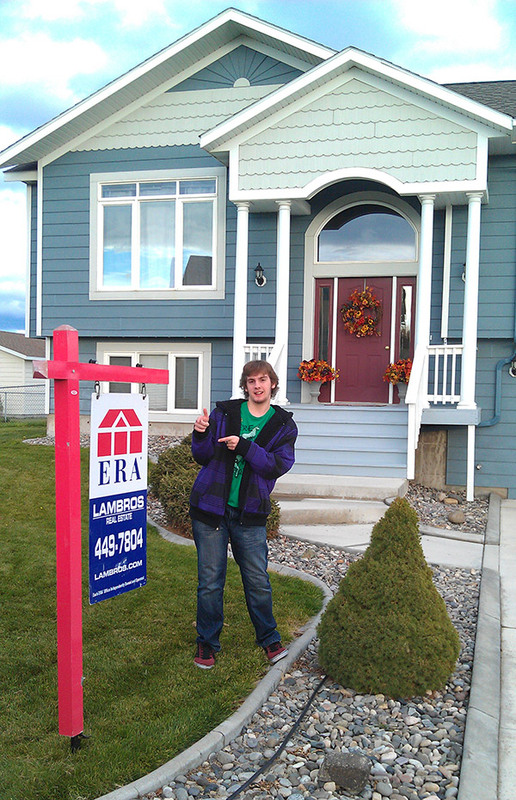 It took over two years, but our Montana home finally sold in April 2013. The market is the complete opposite here in Southern California. Home for sale are hard to find, overpriced, and difficult to secure. Since April, we have made and lost offers on 11 houses, and that is with a nearly 50% down payment. 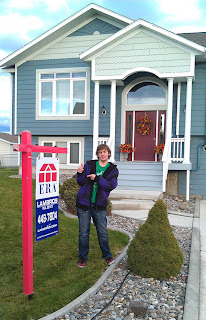 Just this November, our offer for a home was finally accepted, nearly a year and half since we began looking. Things were looking good for the sale and we were expecting to close escrow and move in just before Christmas. However, at the last moment the financing options changed from what we were originally promised. We were instead offered a risky loan proposition with an exorbitant interest rate and we had no other decision but to back out of the deal. So we find ourselves at the end of 2013, still without a home. I never expected that a year and a half would pass without finding a new home. To add to the disappointment, it looks as though it may be yet another 3 to 18 months before we can begin looking again. With all this said, we are really just trusting in God. I experience times when I feel that there is no longer hope. I sometimes feel that God has abandoned us. At the same time, I know that it is not true. I know that He is there, helping us with each painful step forward, He is orchestrating His will for us during the very moment I write this. Oh, how I have wrestled with God over these last three years and it does not look like it will end any time soon. One thing I do know, is that we, all of us, were meant to shine. We were created and touched by God to make a positive difference in this world...to shine no matter where we are. Will There Be A Victory In 2013? This is the third and final installment of the experiences and struggles of our last four months of 2012. Read the first here and the second here. I hope I haven't left you hanging for too long. As I wrap up some of our challenges, I realize I can't really put into words all that we have gone and are still going through. Let me pick up from my last update. After interviewing for several Marketing & Communications Graphics Positions, I was able to start a new full-time job in mid-October. I am now still employed at Lunarpages, an internet hosting and services company based out of Anaheim, California. As a Web Designer & Integrator there, I am creating custom CMS websites for companies and individuals from literally all over the world. While the pay could be better, this full-time position is certainly a step up from my work at Staples and I am gaining valuable experience. Our full insurance offering starts February 1. While I am saddened we have had to wait this long for Kellin, I am still grateful that we may be able to follow up on his medical care soon. We've had some activity with people looking at our home for sale in Montana. At one point in November, we had a buyer lined up and a contract signed. Unfortunately the buyer backed out, afraid of such a commitment in this economy. We had already started looking at houses here in Southern California and were getting used to idea of having our own place (and the kids sleeping in real beds). It was, and continues to be a huge disappointment. It seems our life is largely on hold until our home sells. Andrea has been looking for positions as well. With her experience as a shift manager at Great Harvest Bread Company in Helena, she was excited to transfer into a position possibly at Panera Bread or the Coffee Bean & Tea Leaf. She also applied to Michael's, Hobby Lobby, and more. So far she has not secured a position but we are still hopeful for the extra income. 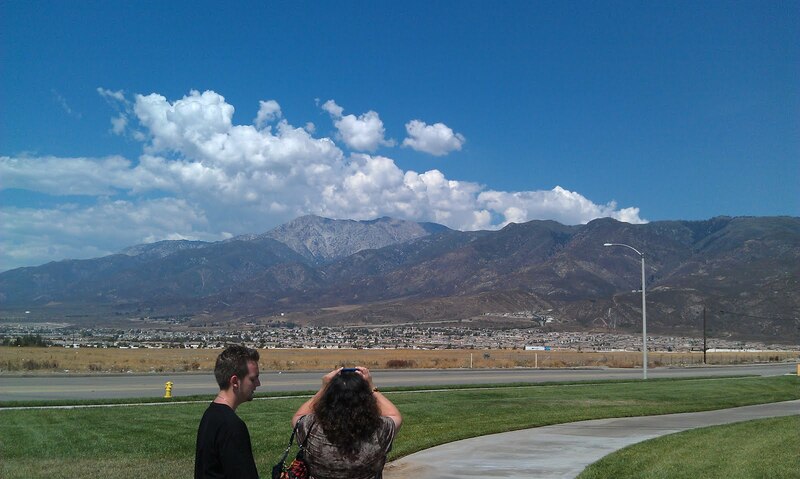 One of the most difficult transitions for us moving to California is the lack of ministry opportunities. There are certainly many churches here, but no real paid minatory opportunities so far. Additionally, it has been difficult for us to connect with a new church family as we still feel unsettled as if God has no home for us. Days still come where we question our decisions, we question what God wants for us, we even wonder if moving here to California was a mistake. Certainly I am back into the same routine I was in before, nearly 10 years ago. But what other choice did we really have? I dare not compare our experiences over the last year to those of Job, certainly things could be much worse. Perhaps Joseph's trials are a better comparison. Even though it often feels like it these days, I know in my heart the He is not done with us yet. I am still trusting that He moves mightily in our lives soon. We are simply praying that God is using us to His glory, even though it doesn't feel like it right now. Would you commit to pray with us? I need a reason to sing. This is the second installment of the experiences and struggles of our last four months of 2012. Read the first here and the final here. 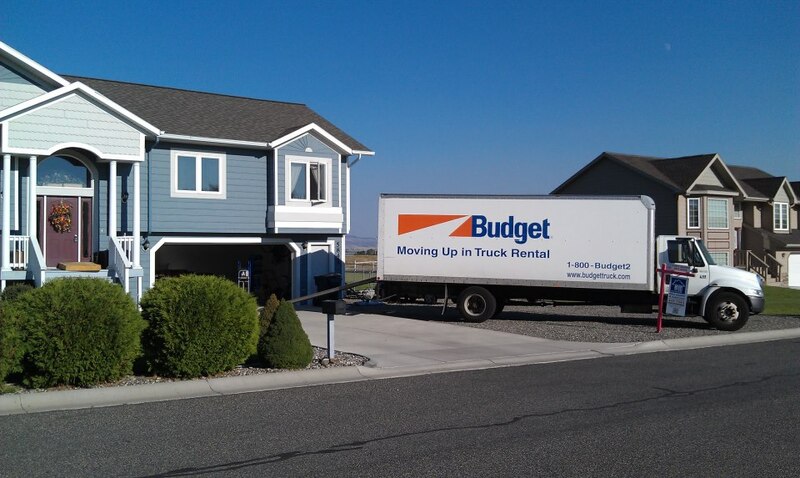 At the end of August, I applied for a transfer from Staples in Helena, Andrea left her position at Great Harvest Bread Company, and friends helped us pack everything we own into a 24-foot Budget box truck rental. We then made the two-day drive (with only a little drama) from our empty home in Montana to Southern California ready to start over again. At the time, I don't think we anticipated the challenges ahead. Andrea's parents have been gracious to allow us to stay in their guest bedroom, but things are definitely crowded. Andrik and Kellin have been sleeping on the floor in the office for three months now. Andrea's parents have also been helping out in other ways. We are so grateful for these blessings. It was also a blessing to transfer to the Staples Best Copy & Print Center here in Ontario, California. A "Best" Copy & Print Center stands out in service and quality from standard Staples Copy & Print Centers, so it was quite an honor to be accepted into the position. However, I did not get the hours I had hoped, so I continued to look for a better position. Even with help from family, things continued to be tight financially. At one point, I was bringing home just $138 per week for our family of four. Since my medical scare last February, our healthcare costs have increased to over $300 per month for medications without insurance (nearly the same with the limited insurance offered by Staples). My mom has been helping in that area. To further help with costs, we set our pride aside and applied for MediCaid and the Supplemental Nutrition Assistance Program (SNAP - formerly known as food stamps). The kids were accepted for MediCaid coverage and our family has received SNAP assistance since November. For a man who is highly and uniquely skilled in two separate career tracks and educated with a post graduate degree, the turn of events of 2012 have been huge. I am truly a broken man. It wasn't soon after, that we experienced another setback in these difficult times. I received a call one afternoon at work from Kellin's middle school informing me that he had been in an accident on his bike — he was on his way home from school when he collided with some piping in the sidewalk. He was thrown from his bike landing face-first on the pavement. While he still does not remember getting from the scene back to the school (a concerned parent helped get him and his belongings back), he does remember seeing a lot of blood. In the end, Kellin had broken his nose and lost a permanent front tooth. At this point, it looks as though a second front tooth will also be lost for good. On MediCare in California, it was nearly impossible to find a doctor to see Kellin. We ended up at the emergency room of a local hospital where they did very little. Follow up care has been just as challenging. We finally found a specialist to see Kellin about his nose after the intense swelling subsided. The dentist we found that actually accepts MediCaid has still not contacted us and seems elusive as we try to follow up with care for his missing tooth. We are still praying for help and a resolution to Kellin's heath needs. So where are we now? Why are we praying for victory? Check out my third and final installment here as I conclude the experiences and struggles of our last four months. These words from "A Reason to Sing" by All Sons & Daughters continue to sum up our experiences over the last year. "Will there be a victory? Will You sing it over me now?" As I look back at 2012, I can honestly say that it was THE most difficult year of my life. I had no idea last January that it would be so. Even though we had just closed the doors of Encounter Church and looked to God's new adventures for us, we were filled with hope and trust. Working at Staples as a Copy & Print Pro certainly did not pay the bills and the continued poor economy was not opening any doors for paid ministry positions anywhere in the country. We followed God's lead to explore Seattle and made some great connections there, but nothing that would help our family survive. Early in 2012, I also experienced a scary medical situation that increased our need for strong financial stability. In my last post, I made the statement "We must be moving on soon." And so the final catalyst for our "moving on" lay in the need to financially support and provide the best life experience for our family. We could no longer do so in Helena, Montana. 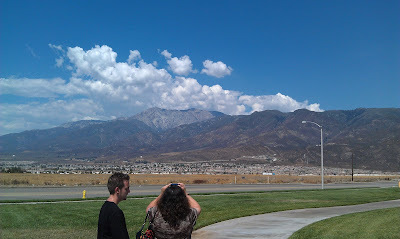 After much prayer and consideration, our only true option was to move back to Southern California. I knew I could transfer my Staples position and we could stay with family for a season. Because I am uniquely qualified both in Ministry and the Marketing & Communications Arts, I was sure I could secure a related position in SoCal despite the depressed economy. And so we did move. With much excitement and some trepidation, I brought the kids down to their grandparents at the beginning of August for the start of school in Fontana. Andrea and I followed just a month later to also stay with her parents. 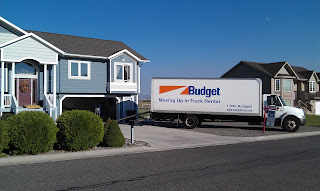 It had been exactly eight years TO THE DAY since our move to Montana. Our empty home was still on the market waiting for a buyer, and a new life transition awaited us in a new place. So where are we now? Why are we praying for victory? Check out my next post as I continue the experiences and struggles of our last four months. And the final post here. I confess that I don't always trust God. I know, I'm a pastor, I lead congregations in worship, I even followed God's call to plant a new church here in Helena. But the truth is that, like many of you, I struggle with trusting in God. I recently wrote of "Waiting" versus "Going," or more accurately "Waiting on the Lord." The foundation of waiting on the Lord to move in your life really comes down to trust. While my mind understands that I must wait for Him to open doors and opportunities, my heart aches. It aches as I begin to ponder lies about whether He really cares, whether He really has His best planned for me, and sometimes even whether He really exists at all. It seems that I don't always trust Him. Honestly, life is not great right now. We are really struggling to make ends meet financially. We are struggling to connect as a family. What is even more difficult at times is the feeling of hopelessness that overcomes me – it seems like there is no escape from our situation. With all this said, let me assure you that I am not losing faith. I am simply acknowledging, like King David in the Psalms, that there are difficult seasons in life. There are trying times in which we are faced with a choice — to loose heart or to seek Him ever so diligently. I choose the latter. You may know that in the last two months, we have been coaching/consulting the worship ministry at Headwaters Covenant Church. It has been a joy to encourage and challenge the team there to step out of the familiar and into the area where "the magic happens." They are an amazing group of people striving to be faithful to what God has called them to be in Helena! At Headwaters, Pastor Seth has recently been speaking on the Psalms. And as you read through the Psalms, you can't help but acknowledge the heartfelt honesty of David's struggles in the difficult seasons of life. Those are the times, we are called not to pull away, but to cry out to God. His promise to us is that as we draw close to Him, He will draw close to us. I can identify with Pastor Jack Hayford who once commented on his lifting of hands in worship. Everyone thinks that I am having this amazing God-moment, and yet I am lifting my hands as I struggle, asking God to carry me through this next season. As the Summer progresses, we will be making some important decisions. We must be moving on soon. I wish I had more clarity about where God wants us. I wish there was a ministry position for us already in the works. But one thing is clear, God desires us to take our next step before this coming Fall. I ask you to pray for us. Pray for clarity from God about our next steps, pray for God to orchestrate our next adventure, and pray that we would hear Him and be obedient to His calling. I also ask for your active help in networking. 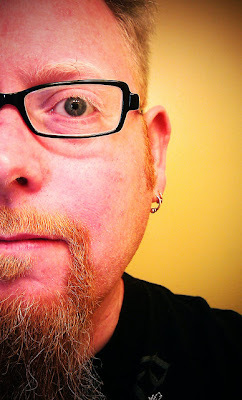 I am seeking positions in professional Graphic Design and Church Ministry. 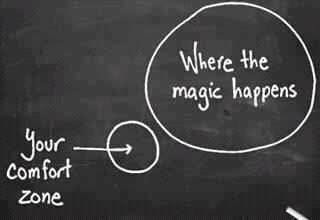 In the end, it will be one or the other that will draw us to our next location. Our desire and hope is that there is a paying ministry position connected to the worship arts where I can help a church move to the next level. If you are not already on our mailing list, I invite you to sign up today. And while you are at it, feel free to leave a note of encouragement in our inbox. If you know of an opportunity that might be a good fit for us, please don't hesitate to let me know or to forward the following links. In case you were wondering, the Powells are still in transition. Our home is still for sale and we are confirmed that God has His next adventure planned for us outside Montana. What is holding us back? We are waiting for is His calling and orchestration in our lives to make that happen. Over the last months, it has become clear to us that we need to land in a situation where we can survive financially. While my heart is for new churches and church planting, we have not yet found the situation where we could make a difference and still survive. We have been so blessed over the last months to meet such amazing people involved in some exciting ministries. How I wish we could get involved and help in every situation! But as I've been holding down from three to four jobs simultaneously since October, I'm learning that our next situation needs to be fully devoted to one effort or another. Spreading myself thin takes its toll on both myself and our family. My hours at Staples have been cut dramatically and so I've even been looking for a more substantial position here in Helena, but am still seeking out positions throughout the Western states (although I'm not sure Texas counts as Western). I've been broadening our opportunities by looking for Graphic Design and Marketing positions as well as ministry positions in the Worship Arts or maybe an Associate Pastor position. Please be praying for us as God guides and moves mountains for us. I'm Eric Powell. I'm a loving husband to wife Andrea, and a learning father of our two boys, Andrik and Kellin. I am also passionate worshiper of Jesus, a shepherding pastor, creative songwriter and musician, relevant media guy, and experienced graphic designer. Read more here and be sure to check out my worship profile & resume here.